I am screwed before I even start. 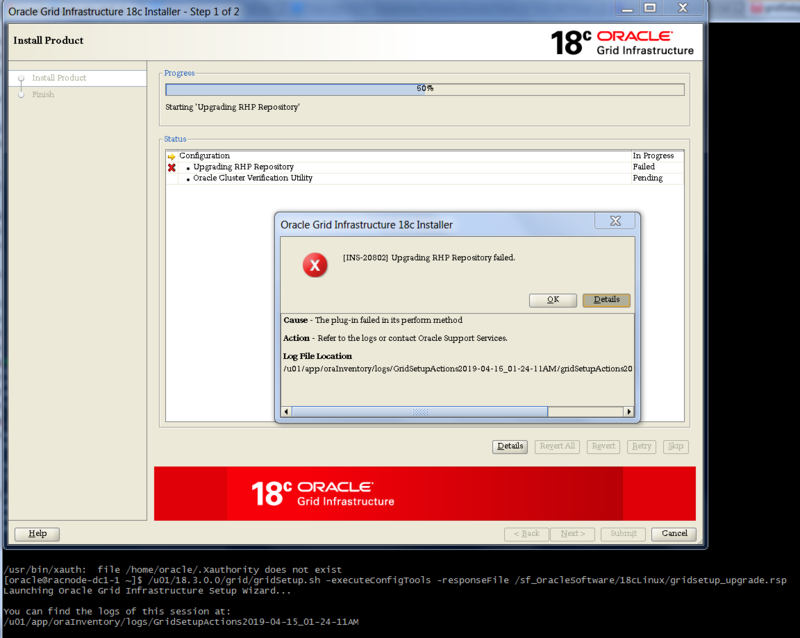 Why doesn’t Oracle update the bad image and release a new one! "racnode-dc1-1". kfod execution failed at location "/u01/app/18.0.0/grid//bin". Software was not properly tested. Copy the last five Goldengate trail files from source to destination. Attributes without values are displayed. Attributes without values are NOT displayed. You might ask why I am doing this. I am reviewing configuration before implementation and will compare them with after implementation. The less items I need to look at before implementation, the better. 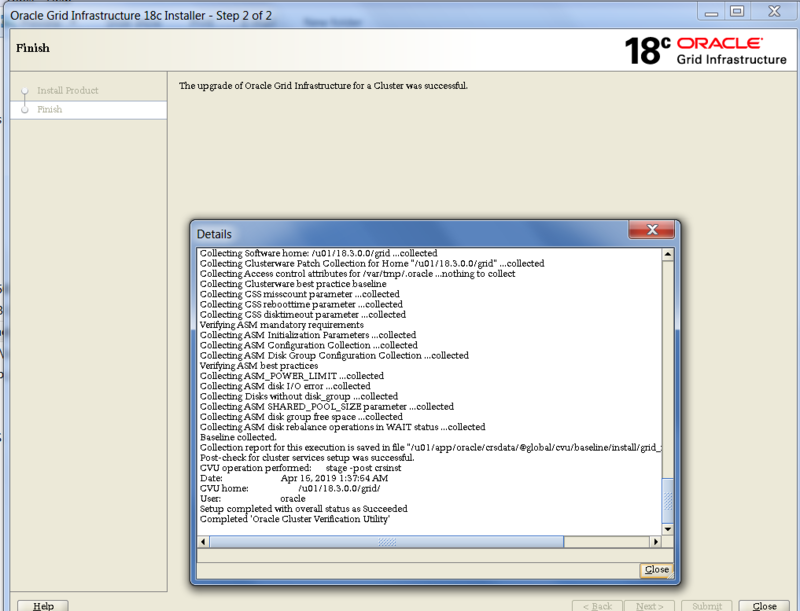 For unknown reasons, XAG integration for GoldenGate target was eradicated without any trace (I was not able to find any). When running crsctl at target, no resources were available. Now, I need to setup XAG for target RAC Cluster. FYI: XAG Bundled Agent was not downloaded, instead used the one available from GRID_HOME. Creating XAG using 2 commands provided different metadata vs 1 command. The difference between FILESYSTEMS is expected due to change from DBFS to ACFS. Currently, the change is being implemented at target. In conclusion, I will be creating XAG using 1 command from now on to provide more metadata info. Rant: Any application requiring strace for a simple problem to determine root cause is poorly written. The blog above was a great help. I did take a different path for resolution. As root, chmod 775 -R /u01/app resolved the issue. However, this does not explain why it was working before adding GoldenGate to CRS.